Ligretto basic game, up to 8 players can participate. And if you use all three different boxes, you can play with up to 12 persons. Let the cards fly! A turbulent card game that no home should be without. Fascinating, entertaining, and astoundingly simple! Simultaneously, all players try to discard as many cards of the same colour as possible from 1 to 10. You need to be fast, clever and skilful. 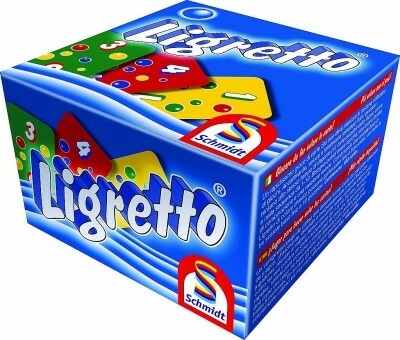 If you combine two different-coloured boxes of the Ligretto basic game, up to 8 players can participate. And if you use all three different boxes, you can play with up to 12 persons.